This year’s ‘Soul in the City’ Community festival took place Saturday 1st July in the Andover Central Square (Andover Estate), London, N7. Powered by London Borough of Islington and supported by different businesses that operate in the area, the event is created to highlight the cordial relationship within the neighbourhood and to display Residents’ contribution within their immediate community. 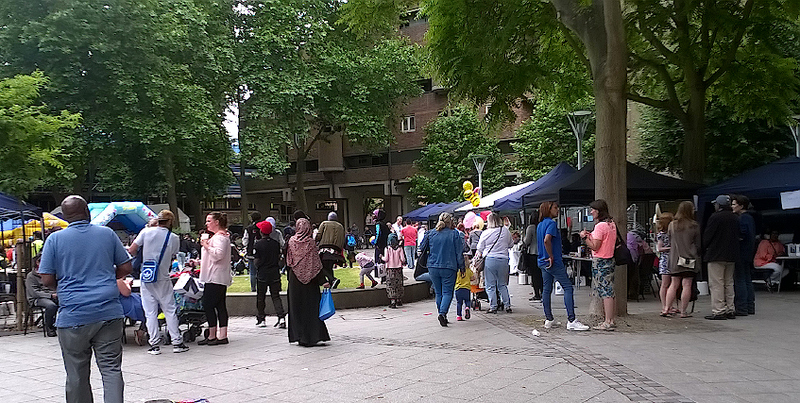 Lead by our Contracts Manager Brett Bussey, Breyer Group Islington Site Team supported this year's ‘Soul in the City’ event by setting up stalls to allow Residents to participate in DIY demonstrations and workshops. These included plumbing, tiling, painting, etc. On the day, Breyer Group Community Investment & Development Officer, Paula Arkell-Waller also engaged with Residents by promoting the importance and relevance of Apprenticeships schemes and Work Experience in the Construction industry. The Residents really appreciated our stalls, especially the giveaways! The Resident fun-day concluded with the Mayor’s visit to the event and individual stalls.